The Service Manipulator is a service tool for handling of choke valves at Ekofisk 2/4x. The Service Manipulator is custom designed to meet the special requirements of the Conoco Philips EKO-X Platform. Restricted access and an active production area demanded safe and efficient handling equipment. A nearby overhead crane traveling along the valves was utilised as the mounting foundation for the Service Manipulator. 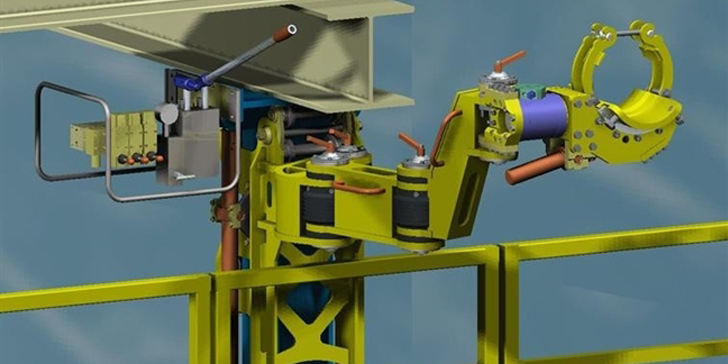 Based on careful surveys of the area prior to the detail engineering phase, the installation process and integration of the manipulator could be done in the active production area with minimal risk and time consumption. The system was successfully installed in 2003. A second system was installed early 2012.